Beautiful Wooded 3.26 Acres of land just minutes outside of Peshtigo and only about 10 minutes or Marinette. Peshtigo School District. Great building site or investment. Located on a cul de sac. 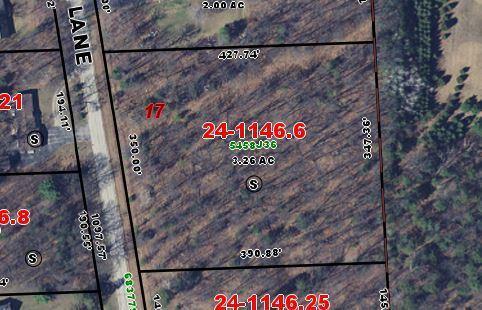 Property is very square measuring 350' along the road and 427' deep. Utilities are at the road. Property has not been perked. There are deed restrictions: (no mobile homes or trailer houses, residential only, only 1 single family dwelling can constructed, no farm animals, construction must be complete with in 2 years) Per county there are no wetlands on property.